Plot Outline: Jellystone Park is celebrating its 100 anniversary, however it may be for the last time, because attendance is down and Mayor Brown wants to close the park and sell the land. If the park is closed, Yogi Bear and Boo Boo will lose their home. They join forces with Ranger Smith to save Jellystone from closing forever. 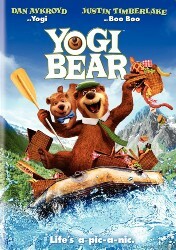 Yogi must really prove in this endeavor that he is "smarter than the average bear".